Growing up, I spent a lot of time reading Candy Blog, fantasizing about what it would be like to review candy as a quasi-day-job. So, when I first started Consider The Product, I had a particular goal in mind: to be asked by a company to review their product for free, and to review it. Well my dearest readers, imaginary and otherwise, the day hath finally come! A couple months ago, Skunk Ape Kratom reached out to me to review their kratom (note: I believe they’ve since changed their name to Soul Speciosa). So without further ado, here is my review of their mystical green powder. Hailing from Southeast Asia, Kratom (mitragyna speciosa) is a tree/botanical substance that has psychoactive and medicinal properties. Its users report that it has slight opiate-like properties, and indeed it acts on the μ-opioid receptors, as well as stimulant properties. In many countries Kratom is used both recreationally and for pain management. Its leaves are often ingested as a tea or chewed fresh for effects. I usually buy and partake of kratom with much satisfaction from Mmm Speciosa, so I’ll use their product as a comparison point. Like Mmm Speciosa, Skunk Ape’s Kratom arrived nicely packaged. No qualms there. I first heard about kratom during my initial obsessive research phase with nootropics years ago. During that time, kratom was still considered a nootropic due to its cognitively stimulating effects. Presently, it’s no longer classified as such because of user reports of addiction and withdrawal, which only set in after prolonged habitual use. Recommended dosages for kratom range from 1 – 15 grams, depending on sought after effects and your biological makeup. Having experimented with kratom before, I’ve found my sweet spot to hover around 3 grams, depending on how much I’ve eaten. Effects vary widely depending on how empty your stomach is, and it’s recommended that one partakes on an empty stomach. It’s important to find your particular sweet spot as too much kratom can cause nausea and discomfort, so more is not always better. In my experience, 5 grams is the most I can take before I start feeling seriously ill. There are a vast array of different strains of kratom, with each type eliciting slightly different effects. 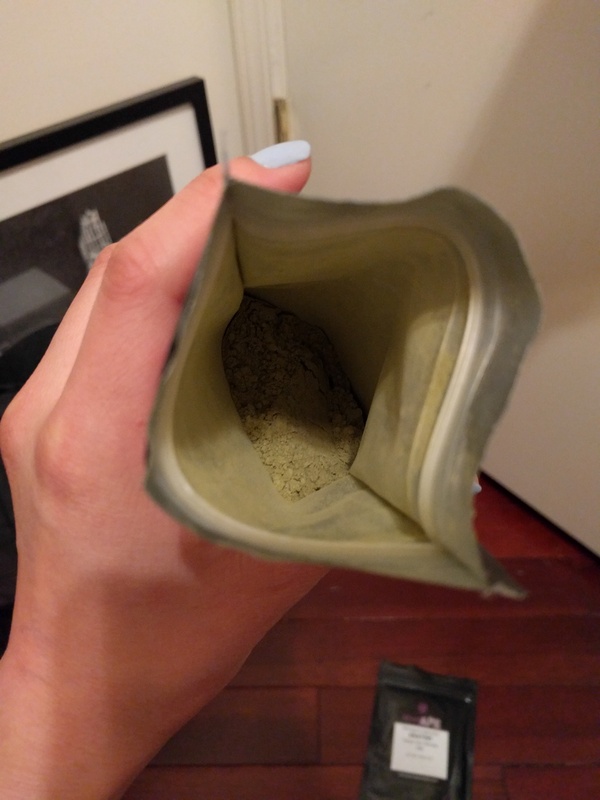 Skunk Ape Kratom generously sent me two different strains: OG Bali Powder and Yellow Vein Borneo. For this review, I dosed 3.5 grams OG Bali Powder–one of the most popular strains–mixed in with my favorite loose leaf Jasmine Green Tea, some sugar, and milk. 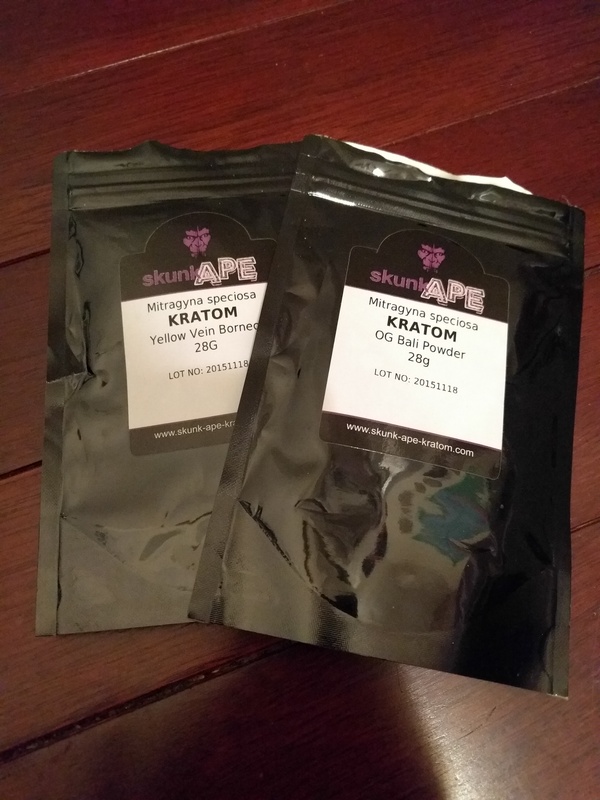 When I first started experimenting with kratom a couple years ago, I generally dosed around 5 grams and experienced only desirable positive effects. I felt significantly increased mental and physical energy, and an increased sense of overall well-being. During the come-up (30 min – 1 hour) I’d experience feelings of euphoria, which would then taper out into a steady calm and assured state for about 3 – 5 hours. After some time however–maybe about a year–negative effects began to emerge whenever I dosed. I’d still feel the aforementioned positive effects, but about 1 – 2 hours in they’d be hampered by waves of nausea and discomfort. As a result, I started lowering my dosages and settled on 3 – 3.5 grams as the optimal, with negative effects still present but controlled. This was experienced primarily with Mmm Speciosa’s Bali kratom, which is another reason why I decided to try out Skunk Ape’s Bali strain as well for this round. Some noteworthy points about my Skunk Ape Kratom experience follow. Euphoria (T + 45-60 min): As with Mmm Speciosa’s kratom, I felt a serene sense of bliss that lasted 30 minutes or so during the come-up. My other half and I had meandered to a bagel shop post-dosing, and while there I felt very giddy and talkative (short video for proof). During this initial phase I felt very empathetic toward my boo and more talkative than usual. Increased Energy & Tranquility (T + 1-2 hours): Paradoxical as it may sound, I simultaneously experienced more energy and a sense of calm. The energy increase manifested as a pleasant surge in motivation to be active and explore the wondrous concrete jungle that I reside in. All thoughts and actions during this time were accompanied by a warm blanket of calmness. may be worth noting that I’m by nature a very anxious person, so I find this effect very valuable. Raised Pain Threshold (T + 1 hour+): About an hour after dosing, I definitely sensed a heightened threshold for pain, which lasted about 5-6 hours. 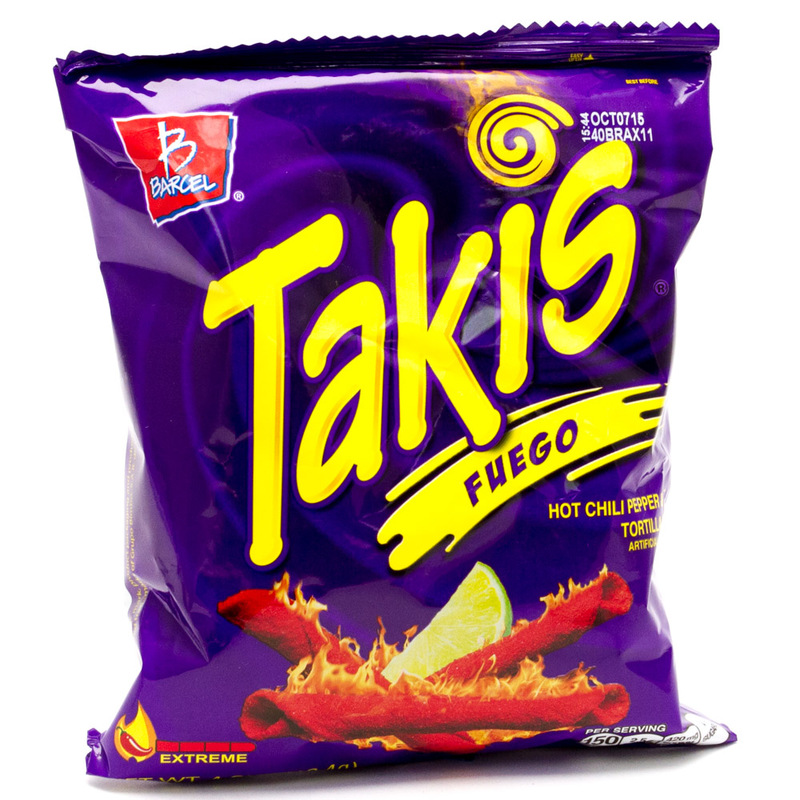 I unscientifically tested this effect by buying a huge bag of Takis Fuego chips, my usual go-to snack, and seeing how many extra I could eat in my kratom-induced state. Normally, I can consume about 15 chips before reaching the infamous spicy-panting phase. On Kratom, I ate half of the entire bag in one sitting (~50 chips)! Some pain management superpowers were definitely gained. Nausea & Vomiting (T + 3 hours): The familiar and dreaded kratom nausea that I hoped to sidestep with Skunk Ape Kratom as a new brand started settling in at hour 3. The dizzying waves steadily intensified to uncomfortable proportions until I threw up around hour 4. Up until this point, I had only thrown up once from kratom, and that was after dosing an excessive 10 grams over 3 hours. Foggy Thinking (T + 1 hour): Kratom always gives me brain fog. Some users report increased mental clarity, but I’ve never found that to be the case. Your mileage may vary. Fatigue (T + 2 hours): After the initial increase in energy, the effects nosedived into fatigue that lasted about 4-5 hours. This was characterized by a decrease in motivation to do stuff. I found it hard to follow through with my original plans of going to the gym during this phase. I ultimately went and had a great workout (decreased pain and all), but getting myself out the door was a challenge. This effect doesn’t necessarily need to be a negative thing, as it was overall a very relaxing feeling, but it may be unappealing for those looking to take advantage of kratom’s stimulating properties. Kratom Hangover: I definitely felt more tired and cognitively hazy the next morning and throughout the day. Again, some may find this relaxing. Overall, Skunk Ape Kratom succeeds in delivering quality kratom to its people. I found its positive effects comparable and maybe even a little superior to Mmm Speciosa’s kratom. Unfortunately, its negative effects were more pronounced as well. I’m hesitant to attribute the negative effects entirely to the Skunk Ape brand, though, since there were many other variables in play that could have caused the nausea and vomiting. For example, it had been over 6 months since I had last ingested kratom and this time it was on a very empty stomach. It’s possible that my tolerance had dropped significantly during the brief hiatus and 3.5 grams was simply too high of a dose, especially with no padding in the stomach. Regardless, throwing up from such a small amount is still a bit alarming. Taking the entire experience into account, I’d still recommend Skunk Ape Kratom to new and experienced users alike. Purchase some for yourself here! Skunk Ape Kratom's kratom is comparable to some of today's top selling vendors. For best results, make sure to take the time to find your ideal dosage. If you've tried Skunk Ape Kratom (or kratom in general), submit your rating below or leave a comment! thank you! and thank you for sharing along to your roommate! hope they found it useful.